I just want to take the time to wish every single one of you and your loved ones a Happy Labor Day weekend. Don't forget to take advantage of the season's produce before it's gone by throwing a barbecue! Juicy burgers, plump tomatoes, tasty salads, refreshing drinks and scrumptious desserts, are just some of the things we all enjoy during this time. Enjoy the bounty with your friends & family. I'm going to be grilling cheeseburgers and making some blueberry pies to serve with vanilla ice cream. If you collect vintage and antique dinnerware and kitchenware items, it helps to keep a few things in mind if you want to use them for preparing recipes and serving meals. Washing these heirloom pieces after you're done is just as important as making sure they're adequately prepared for food before using them. The items we spend a significant amount of time and money to collect should be properly taken care of, because we want to keep them in top condition for many more years to come. Delicate china, glassware, stoneware, earthenware and ironstone that has survived decades can continue to do so in your very own home if you're cautious. Over the course of my keeping home, entertaining and enjoying the antiques I own, I've had a few mishaps with my antique & vintage dinnerware due to simple errors on my part. These accidents could have been avoided if I had just paid closer attention to what I was doing at the time. When I look back at those instances I say to myself: if only. Don't let that be you. With these tips and things to consider whenever you want to use your antique & vintage dinnerware, you'll avoid the mistakes I've made and you'll enjoy your dinnerware, your serving platters, tureens and more, for many years to come. It's a very good idea to warm up whatever vintage & antique pieces you plan on using, before you add food to them. Even if these vintage items claim to be oven-proof or heat-proof, you'll be thanking yourself if you take this small step. I don't recommend warming them up in a hot oven because the thermal shock may actually crack them. Taking this step is a must if you live in an older home like mine which gets drafty in the winter. It's not wise to have a cold plate receive hot food straight from the oven or skillet. Let me give you some examples. This wonderful ironstone under tray for a larger tureen is one that I love using for salads, breads & muffins every once in awhile. I once decided to use it to hold some hot food straight from a wok. Big mistake! Since I did not preheat this serving plate, as soon as the hot food hit the ironstone it cracked. I heard a pop and a loud crack. Can you see that hairline crack along the rim of the tray? It's more apparent when you flip the plate over. This is how big the crack became in a matter of seconds. Very upsetting to have a perfectly nice piece of ironstone go from good to bad. Here's an example of a plate with a potential weak spot. That metal pointer shows a flaw in the glass of this jadeite plate from the 1940s. It is not a crack and it is not a hairline fissure either. It's just a point in the glass which didn't mix smoothly running in an arch pattern; I have several dinner plates which have this flaw. You have to really examine your plates for these types of weak spots so that you're aware of potential problems when using them. I didn't know at the time that it could lead to problems. You don't have to worry about this if you're serving items at room temperature, but if you plan on serving something hot from the stovetop, preheat the plate. Look at that awful crack! This happened to me one evening as I was getting ready to plate our dinner. The plates were next to my stove, people were seated at the table and the chicken cutlets were ready to come off the saute pan. As I began plating the chicken, I heard two loud pops. I knew immediately what had happened. Cold plate, hot food...not good. On the flip side, you can see how the crack just traveled down the entire length of the plate. 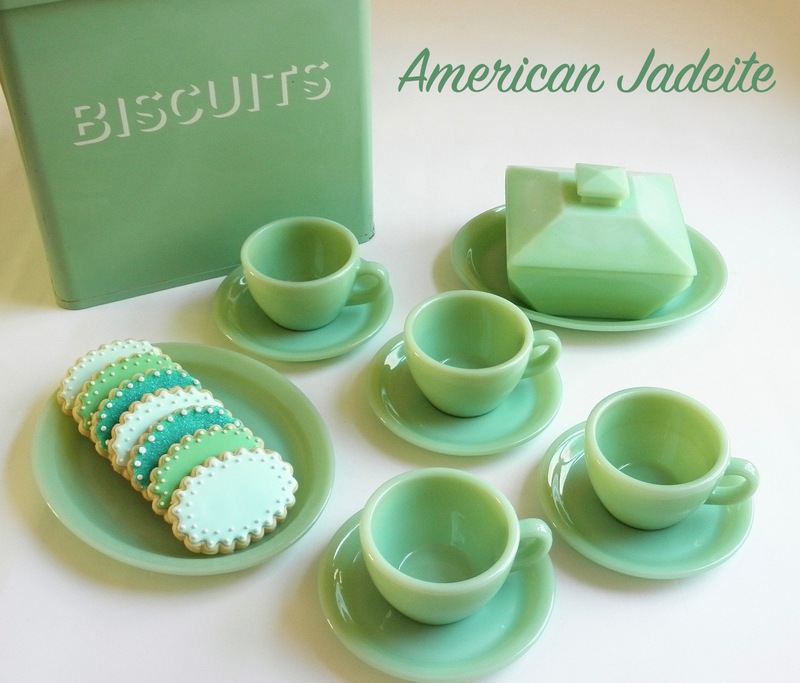 This jadeite dinner plate is completely useless to me now. It had to get pulled out of the cupboard. Gasp! That evening, I lost 2 dinner plates. One had several cracks and one just came apart on me. It's awful isn't it? A stack of perfectly fine jadeite dinner plates. Some have those flaws in the glass and some do not. If you're setting hot food onto vintage & antique plates, make sure you know what condition each piece is in. I don't recommend using dinnerware that has a known crack or hairline fracture, because any type of heat will eventually weaken the piece even more and split it. As for methods of preheating, I have one. I now run the plates & serving pieces under warm water and then dry them off right before I'm going to use them for hot food. I don't like the idea of putting them in the oven or a dishwasher to warm them up. The heat from both of these sources may be too hot for your delicate plates. Once you've dried your warmed plates, keep them next to the stove so that they're ready to go. The same goes for tureens, platters, vegetable bowls and pedestal serving pieces that are going to hold hot food. If you have very very old pieces of heirloom china, do take this extra step to ensure their safety. At the end of the day when you've finished using those cherished pieces of dinnerware, please hand wash them instead of using a convenient dishwasher. My rule of thumb is that if my dinnerware is older than 20 years and they are pieces I love immensely, I hand wash them in sudsy water in the sink, the old-fashioned way. Here are two examples of milk glass. The bowl on the left is pristine and white. The set on the right has taken on a yellowed hue due to probably having been put in the dishwasher repeatedly (not my doing). Over time, a dishwasher with its harsh detergents and extreme water temperatures, may discolor your pieces of antique and vintage glass, earthenware or fine china. Hand wash! I keep a simple white dish rack set over a baking sheet when I do this. After I've finished washing every single piece, I use fluffy cotton bar mops or flour sack cloth towels to dry up the dinnerware. Drip drying overnight is not something I like because the pieces end up with water spots. Maddening. The dish rack can be emptied of all that water, dried and get tucked into a cabinet so that it's not occupying precious counter space. Take care of your vintage and antique treasures. 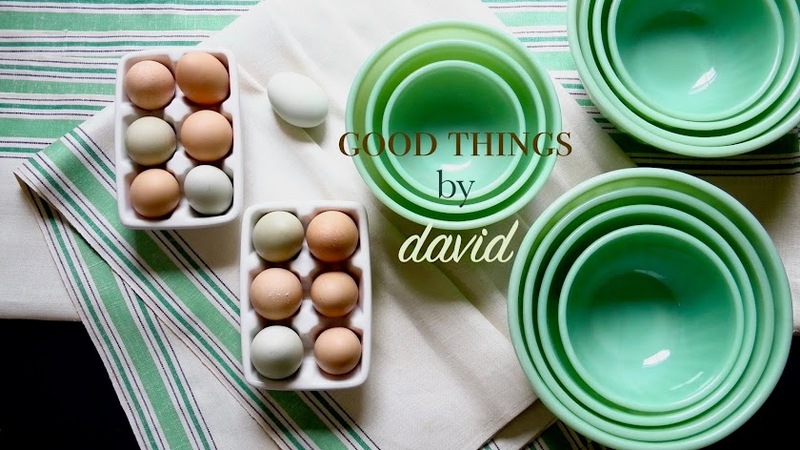 Whether they've cost you a small fortune or whether they've been handed down to you by a thoughtful family member, it's good to keep your dinnerware and serving pieces in top form. I love setting a nice table with a mix of old and new. Some of you do the same in your wonderful homes and I'm glad, because it's nice knowing that there are like-minded individuals who appreciate the old and the antique. 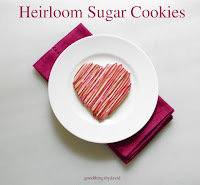 Enjoy using your antique & vintage dinnerware. I was recently organizing my home office because I wanted to remove clutter and streamline the way I blog and take care of business around our home. My "office" is not the typical one with a dedicated room and a great big desk you might come to expect from a household. It is an unobtrusive, out-of-the-way space that you wouldn't know was there unless you opened a couple of doors, but it is nonetheless a very cosy space that allows me to do everything without taking too much room. I don't have to reach far to locate documents, photographs, scan images, make copies, print items, download information or write my posts for the blog, because everything is located in one area. What you must understand, however, is that I don't really sit down during the day unless I'm eating. There is always something to do around the house, whether it's baking, cleaning, cooking, making calls or talking to a worker, so mobility is key for me. At my home office, believe it or not, I do not sit down on a chair or stool. I stand to type and write whatever it is I'm working on. The 18th century colonial we call home has an annex where a mudroom, laundry room and powder room are located all in one space, along with doors to the basement and up a winder leading into the master bedroom. It is here where I have my office situated. Long ago, the space was used as a kitchen and keeping room where meals were prepared on wood burning stoves or over an open hearth. The door in this room gave easy access to the spring house where other perishables were kept before electricity was even around. Now that rooms have been updated and brought up to the 21st century, the mudroom is a sun-filled area that I enjoy working out of. I can be running a load of laundry and blogging at the same time or I can be uploading photographs onto my computer and ironing oxford shirts with ease. Multitasking this way allows me to fit more into my schedule without ever feeling hampered down. I want to show you the space I call my office, because I think here are a few things which might appeal to you. Behind those opened doors is where I keep my office. 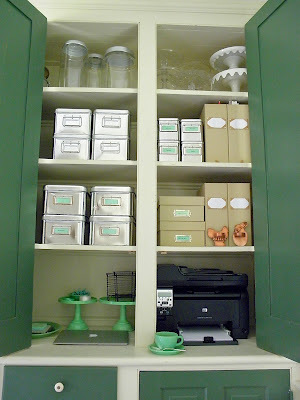 There are several shelves which give me plenty of room to store the essentials I need day in and day out. The window brings in a lot of light and the doorway opens up onto the small back porch where I sometimes make phone calls or where I do some light line drying of laundry. 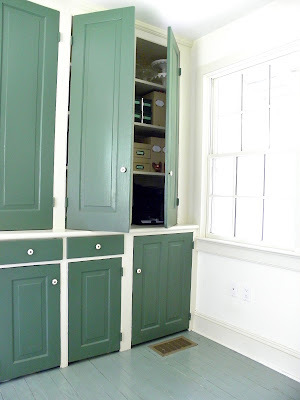 It is a mudroom after all. The cabinets reveal what I have here. It's a home office stored in a closet! The upper shelf really have nothing to do with an office, but I thought I'd show it anyway. 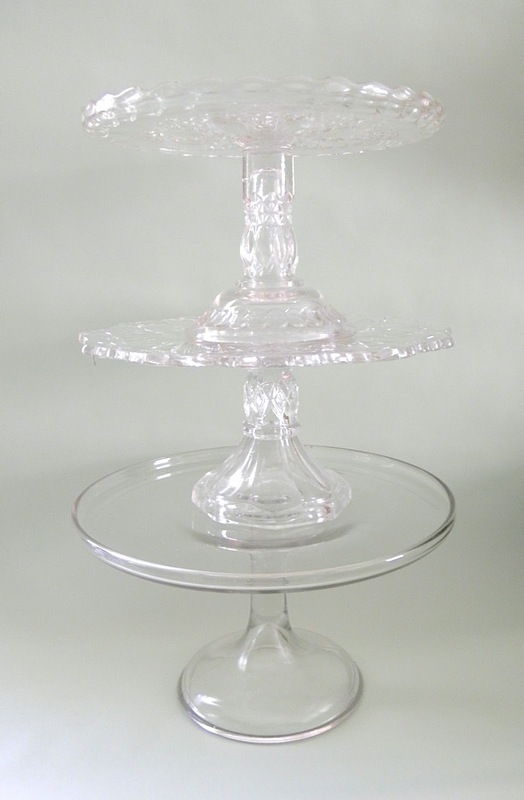 Those apothecary jars are extras and the cake stands are a mix of antique and contemporary glass, stoneware and porcelain. This shelf has stackable storage tins in two different sizes. They hold markers, pens, pencils, pencil sharpeners, stamps, ink pads, labels, a p-touch machine, hole punches and a stapler. The book cloth magazine holders have documents, letters and sheets of stamps. The middle shelf has large stackable storage tins filled with design ideas, inspiration and prototypes of what I'm working on. They are at eye level so that I can pull a tin out and open it with ease. The book cloth boxes have letters & notes that I cherish. Every single item that one of my nephews or my dear niece have written to me is in one of those boxes. The magazine holders next to them have papers & card stock for the printer. Those diminutive copper cookie cutters were a special gift. The laser-jet printer was rather problematic because of its bulkiness. When it was delivered I kept thinking of ways to hide it from view and not have it sit on top of a desk or have it lie underneath it. Placing it behind a door was the solution. It fits up against the wall and still has plenty of room for the paper tray. This is the computer area. I think it's rather nice because there is no clutter and no cords or wires anywhere. The razor-thin laptop has its dedicated space in front of some jadeite cake stands & trays. When I open the door I can pull the computer to the edge of the shelf and start typing (standing of course). I suppose a stool would be a good idea and I am considering it, but for now this works. I love to have a cup of tea when I'm writing up a post for you. The platter next to the computer holds a pen, some note cards with envelopes and sticky note pads for jotting things down. The small cake stand holds some ribbon and a few clips. An old wire basket (originally meant for eggs I think) now serves as a wastepaper basket. Every piece of paper ends up in the recycling bin, so nothing is really thrown away. There you have it. My home office in a closet. As you can see it is an organized home office, but it's probably not what you might have expected. I love the idea of an office inside a closet, because it is a clever way to use up a space and an appealing manner in which to hide one's work when company is visiting. It's also a good way to keep my ever inquisitive cats away from the printer (they'd chew up the power cord if they could) and the computer. As much as I love my furry felines, the last thing I need is to have them walk all over this equipment. When I'm done with my work, the doors get closed up. No one would ever know that this space was a home office. As you can see, a home office doesn't need to occupy a lot of room. If you happen to have a closet in your home which isn't frequently used, turn it into a home office and free up a room for another purpose. Although I have several bedrooms which can serve as an office, I much prefer to have mine in an area I'm frequently in. The mudroom in our annex is next to the kitchen and as you know, I spend an inordinate amount of time there. Moving from the home office to the kitchen requires a few steps for me. I prefer this to having go up or down a flight of stairs. If your home office is in need of some organization or a new location, I hope this post prompts you to look at different options. Let me know what you think.